Could Buyers Begin Circling RIM? There is no doubt that RIM (Research In Motion) is in trouble. After the lackluster first quarter financial report issued last week, stock in the company plummeted 21 percent to five year lows. However, the stock regained 10 percent the following day as people started to ask one very important question: Is someone going to buy the company? 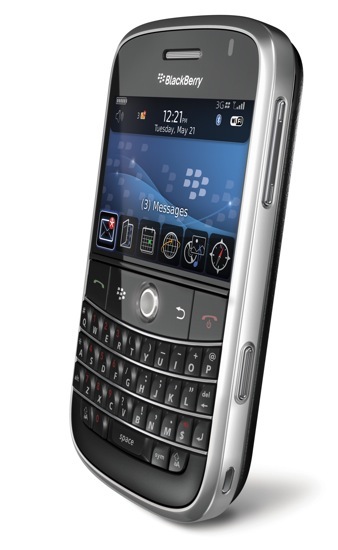 At the height of the popularity of the BlackBerry handsets, RIM was valued at around $80 billion. After its latest stock hit the company is hovering around $15 billion. While a huge amount of money to your every day person, this is a pittance to a lot of companies out there, and it’s at a level that could start attracting potential buyout offers. According to Fox Business News, the most likely candidates to attempt a buyout would be HTC, LG, Sony Ericcson or Samsung with the latter having the most money currently resting on its balance sheet. Of course RIM would never sell for just the $15 billion, and with a 20 percent premium being pretty much industry standard in situations such as this, a company would be looking to pay $18 billion for the entire entity. That’s a price where things get a little bit more difficult for any company to pony up that much money, so one has to wonder if possibly the company would be broken into pieces to be sold off that way. As our own Jon Rettinger noted in a post he wrote about what RIM can do to survive, the QNX operating system the company purchased and updated for the PlayBook may be its biggest saving grace right now. While his thought was they need to move it on to more devices, Fox Business News opined that it might be an asset that could bring the company a couple billion in capital just by itself. The most intriguing hurdle is approval by Canadian regulators. Something I was not aware of was that Canada can block the sale of any company it deems to be too important to their economy, and with RIM currently employing 17,500 people in the country, they’re pretty important. Of course, the potential flipside is the company simply goes out of business, so allowing a company to buy it with a restriction of keeping a certain percentage of the jobs within Canada’s borders would certainly be the lesser evil. Of course all of this is speculation at this point. No company has made an official statement that it is even looking at RIM as of yet, but with the shape the company is in you know someone is licking their proverbial chops at the thought. What do you think the chances are of someone trying to purchase RIM? Should they hold out? Should they break themselves up?